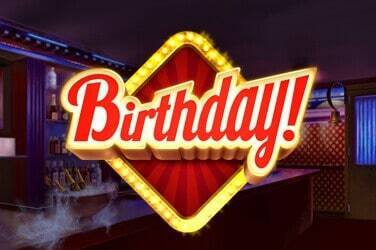 Online slots developers seem to be competing against each other to deliver the most innovative game-play and design. The Dragon Wins slot, the latest effort from NYX stalwart, NextGen, offers a unique reelcase designed in a 3x4x5x4x3 formation. Coming with 40 pay-lines and multiple random bonus features, these fiery friends provide fun as well as funds. 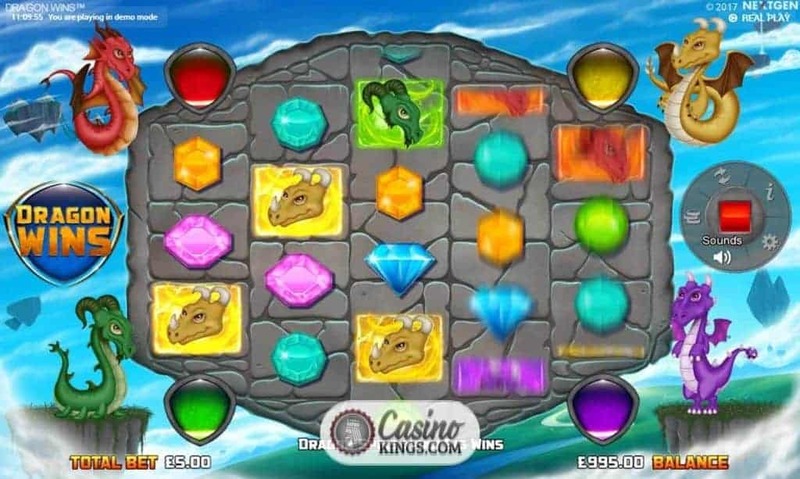 The Dragons to which the game’s title refers are four cute-looking cartoonish beasts, each of which hovers at the four corners of our reelcase. The action takes place amid floating islands in the sky, with the two dragons at the bottom of our reelcase perched on more of these islands, while the two at the top of our reelcase have to flap their wings to keep themselves afloat. 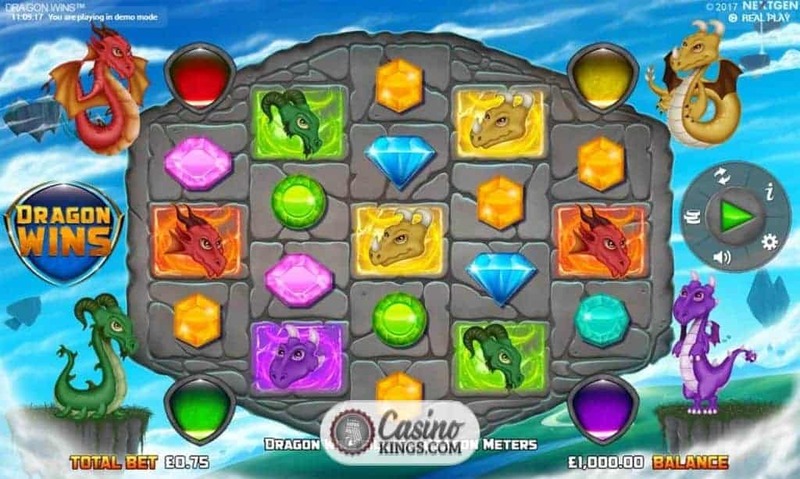 These four Dragons – Red, Yellow, Green and Purple – also make up high-paying symbols as we hunt down the game’s 40 pay-lines. A bonus meter sits beside each Dragon, into which we collect wins at random. 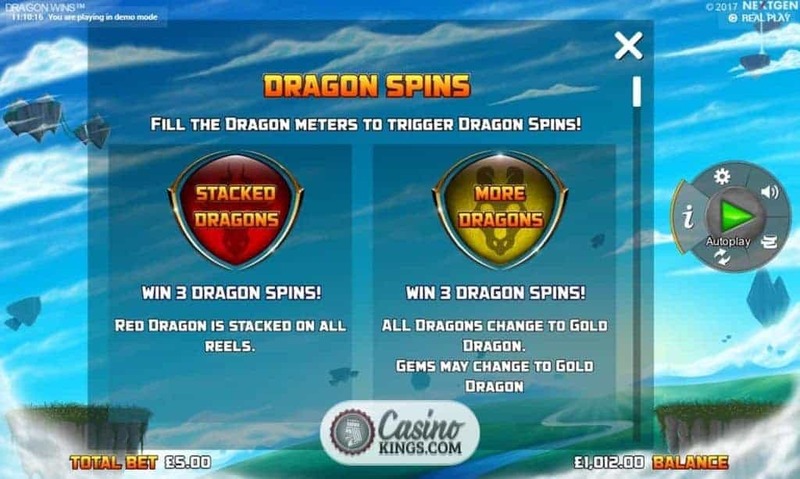 When any of these bonus meters are full, we will launch the relevant Dragon’s Dragon Spins bonus. Jewels of the same colours make up our low-paying symbols, while the Wild symbol substitutes for all symbols except Scatters. 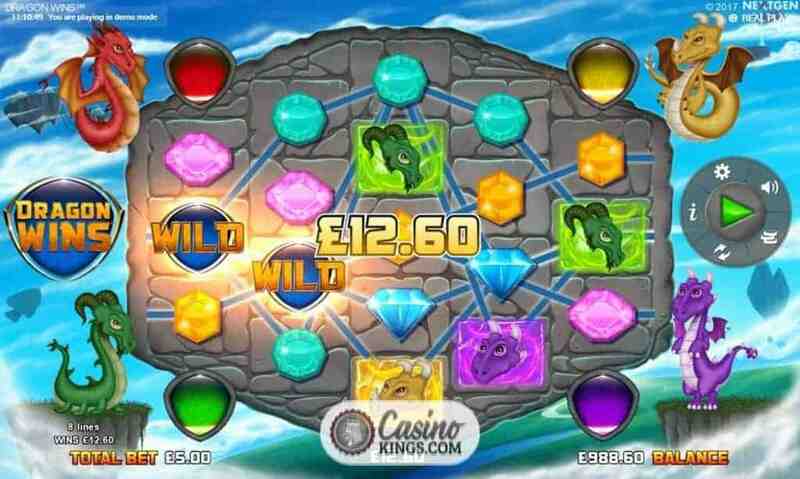 Filling up either Dragon’s bonus meter – which happens at random – triggers that dragon’s relevant Dragon Spins bonus. Red Dragon’s Dragon Spins features Stacked Dragons, with the Red Dragon stacked on all reels. Gold Dragon brings More Dragons. Not only do all other dragons become Gold Dragons, but low-paying symbols can also turn into Gold Dragons. Green Dragon grants Dragon Reels. All other dragons transform into Green Dragons, with the middle three reels becoming Dragon Reels. Purple Dragon delivers Expanding Dragons. Only Purple Dragons appear on the reels, and each can expand to cover the entire reel. 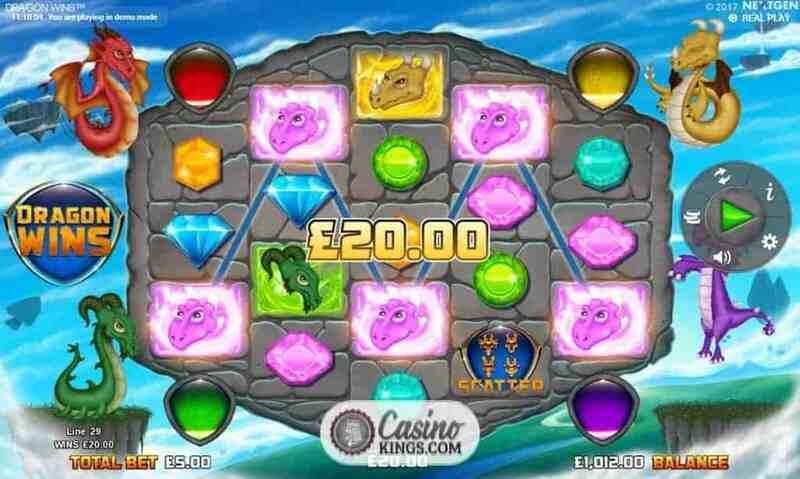 But the Dragon Wins slot also boasts a Free Spins bonus game, triggered when we land three Scatters anywhere across the reels. 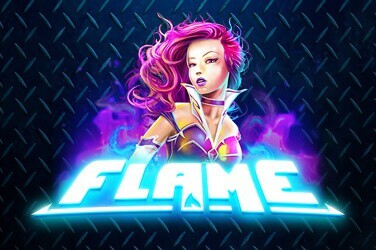 This game delivers two variants – the More Wilds Free Games, which delivers 10-15 free spins, while the Wild Reels Free Games grants between 5-10 free spins. 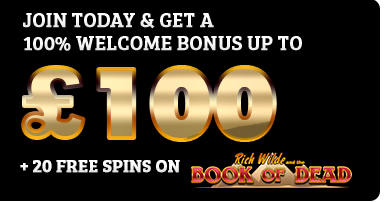 The former adds extra Wilds to each spin. The latter turns entire reels Wild for the duration. 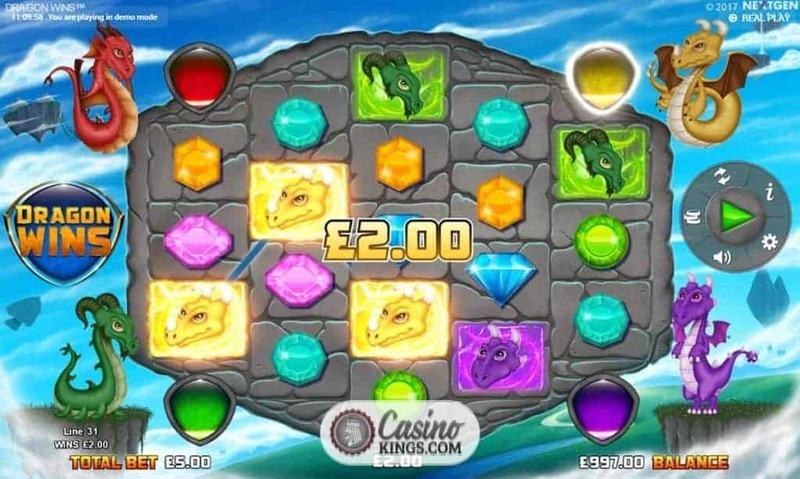 At any point, any of our four Dragons can breathe fire onto the reels after any win to grant us the Dragon’s Fire feature, which can multiply any Dragon win x3, x5 or x10. Dragon Wins Slot is a random game with plenty of fittingly random bonus features to boot. 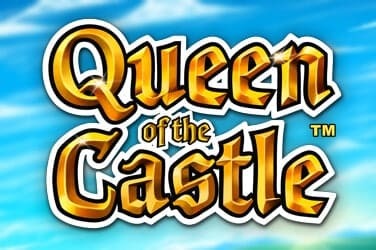 If you are an online slots fan who loves random action, you will find plenty to appreciate with this game. Even those who prefer more structured methods of triggering bonus features will appreciate the Scatter-triggered Free Games feature. 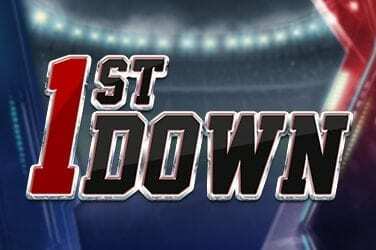 Anyone will enjoy the payouts we can expect from these friendly, luck-bestowing dragons.